Note: All pictures below were taken using an iphone. To see photographs captured by my Fujifilm XT2 please see the Patagonia gallery. 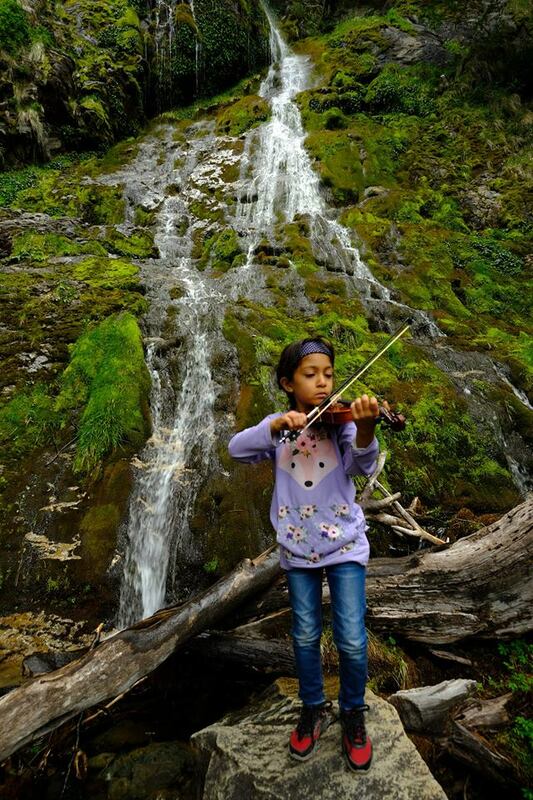 Hiking with a 5 year old in Patagonia...this little girl was amazing. She was walking, climbing for approximately 7 hours every day and her energy was so contagious! We drove from El Calafate to El Chalten, which is the mountaineering Mecca of Argentina. We selected hikes which were not more than 4-hour long round trip. The weather conditions started off as chilly, then hot and chilly. We were alternating pulling our jackets on and off. This is one of the hikes where everyone advised us to carry an empty reusable bottle. Filling our bottles as we walked from the numerous mountain springs - cold, fresh water powered by the glaciers. We did a couple of hikes and our favorite was the Cascada Margarita (Margarita waterfall) one. This is a valley trek, which reaches a viewpoint of the Fitz Roy river valley with panoramic views of Cerro Torre and Fitz Roy massifs after a 1.5 hours of walking. From El Chaltén, we walked the trail to Laguna Torre, which after a soft slope enters the hillside forest. The trail begins to gradually gain height while it aligns with the Fitz Roy river. 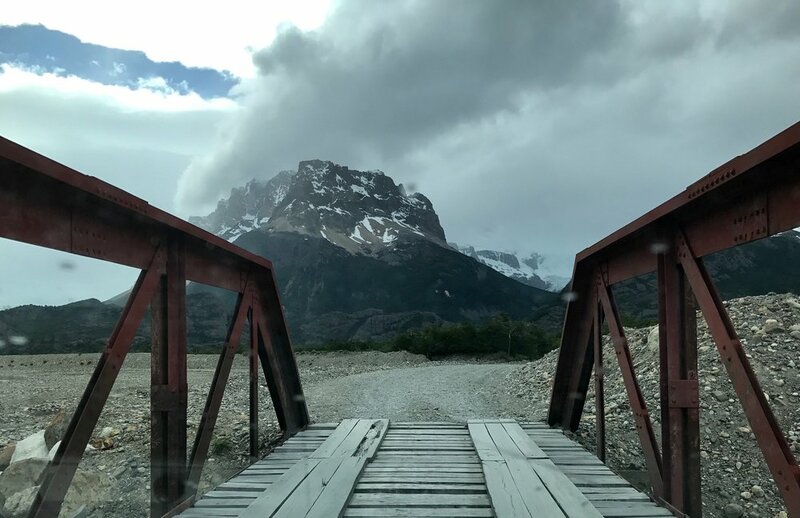 Finally, after passing through an incline, the trail took us to a high natural viewpoint on a cliff over the Fitz Roy river. From this viewpoint to the west, we admired the Fitz Roy river valley and its meandering stream going through, framed by the Solo hill on the left, the Adela range and the stunning Cerro Torre as background, and the Fitz Roy range on the right. We continued for another hour to the Cerro Torre viewpoint, one of the two most spectacular viewpoints in the area. The next day we headed towards Desertio del Lago. This is one of the most rugged areas of Patagonia. We passed through spectacular landscapes such as the valley of Río de Las Vueltas, framed by the Cordón de Los Cóndores. We saw amazing views of the glaciers such as Eléctrico, Piedras Blancas, and Cagliero. We also saw the Marconi glacier, the gateway to the Southern Continental Ice Field. As we moved forward through the dense forest, we saw many streams that turn into rivers and run under historical bridges. We spent a lot of time at the Chorrillo del Salto Fall and neighboring cascades, photographing the beautiful waters. Nadia did a violin practice session here. We returned to El Chalten, tired out and super hungry. After some sunset shots, we located a restaurant that was still open. We had the most delicious dinner, starting with pumpkin soup drizzled with bree followed by lamb ravioli. Nadia was nearly asleep at the dinner table and we had to carry her back home. She is such a little trooper! Next morning we woke up at 5am and tried to take some sunrise photographs, however we saw no amazing light. The mountain ranges around Fitz Roy really prevent any great light conditions. Maybe the sun needs to be at a different angle during a different time of the year. We went back to the airbnb to capture some more zzzs. 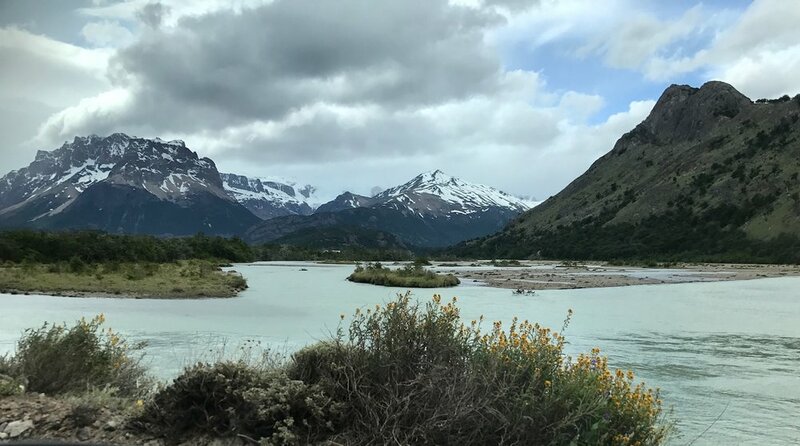 We left around 11am, headed now for Puerto Natales, Chile which was our gateway to Torres del Paine for the next 3 days. Adios El Chalten and onto Torres del Paine.